Here’s a lazy, peaceful little bit of wooded stream at night. Look at all those fireflies…or are they. Write a little Flashy Fiction set it this scene. Maybe it is the tranquil, firefly-filled escape it appears at first glance…or maybe those aren’t really fireflies. Maybe they are little fairies or some sort of malignant insect and guess who just showed up to be a late night snack. 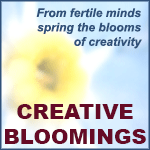 Whichever way your mind wanders first, go that way, and be creative. As Autumn is now upon us, it’s fitting that today’s video prompt is “Seasons Change” by Exposé. This hit used the changing of the seasons as a metaphor for the changing of feelings in relationships. Listen to the song and write a little Flashy Fiction that involves the changing of a season…literally or metaphorically. Today’s video prompt is “Higher Love” as sung by Steve Winwood and his daughter, Lilly. There are a few very slight changes in the lyrics, but it’s sung at a much slower tempo than the original hit by Steve. Take a listen, read the lyrics, mull it over, and write a little Flashy Fiction that revolves around “Higher Love”. Your protagonist could be searching for it, experiencing it, falling out of it …or simply listening to it. Where’s that higher love I’ve been thinking of? © Warner/Chappell Music, Inc., Universal Music Publishing Group, Kobalt Music Publishing Ltd.
You’ve been arrested. 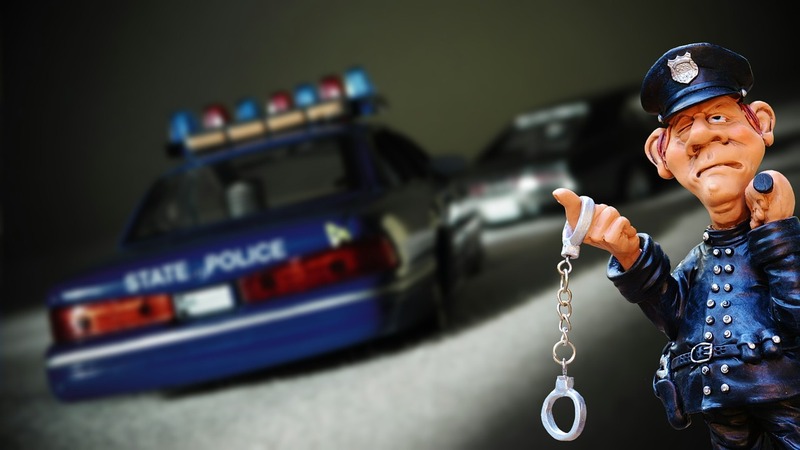 Write a little Flashy Fiction that explains what let led up to the arrest, the events during the arrest, the events after you’ve been “cuffed and stuffed”, or a combination of all three. Maybe just go with the aftermath. Maybe it’s a case of mistaken identity or a frame-up. Have fun with it. Wikipedia defines ‘Character Flaw’ as such: “In the creation and criticism of fictional works, a character flaw is a limitation, imperfection, problem, phobia, or deficiency present in a character who may be otherwise very functional. The flaw can be a problem that directly affects the character’s actions and abilities, such as a violent temper.” Sometimes, even character attributes that might seem good, can be seem flawed when taken to extremes. For instance, in Dungeons & Dragons, a paladin follows a strict moral code while also serving the will of his deity. This typically includes never lying…which can cause problems for a group of adventurers. 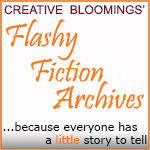 Write a little Flashy Fiction that shows other characters reacting to your protagonist’s character flaw. 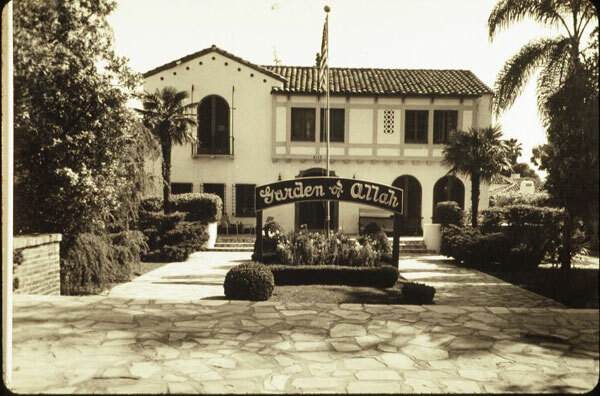 The picture above is of the original Garden of Allah hotel, which opened in 1920’s. It was a refuge for the Hollywood and artist elite for many years. The Garden of Allah is also one of my favorite songs by Don Henley. Like many of his other songs, it’s a perfect social commentary. So today’s prompt has a few possibilities: write a little Flashy Fiction inspired by the hotel or the idea behind the hotel, or by the song (lyrics and video link below), or by making a social commentary yourself. If you go the social commentary route, the story need not have a thing to do with music or hotels. Today’s video prompt is “This Used to be My Playground” by Madonna. Give it a listen, see what memories it dredges up, and write a little Flashy Fiction based on the song, or the video, or whatever it inspires in you. Today’s video prompt is “Always” by Bon Jovi. It’s a power ballad of longing and regret, of pleading for forgiveness and one more chance. It’s a song of undying love. Give it a listen and write a little Flashy Fiction based on the song, or the video, or whatever it inspires in you. According to Merriam-Webster, miscommunication is a “failure to communicate clearly”. Write a little Flashy Fiction that finds your protagonist in a funny or dangerous situation due to miscommunication. Maybe the message is vague, or maybe it’s very clear, but the protagonist somehow misinterprets it.